Yes, yes this seems so obvious. 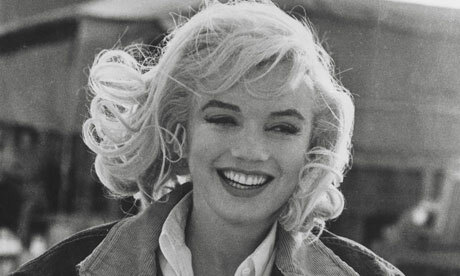 I am really getting a lot of inspiration from Ms. Monroe lately though. Everyone has their Marilyn that they like, I like her most with longer hair and an all around more natural look. This morning I was outside on the porch sans makeup with my hair a mess, it was a bit cold so I was wearing black leggings and a big chunky vintage sweater. It reminded me of her last photo shoot. I went from feeling a mess to feeling chic and effortless. I have been wanting to find a sweater like that for ages, but I suppose my vintage men's varsity will have to do for now. 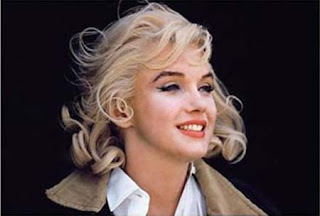 So right now my causal look is late Marilyn. I love that chunky sweater. I have been searching around for one. I thought I found one on Etsy, but it was over $100!